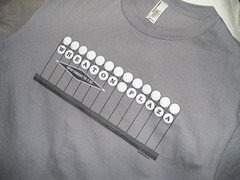 WHAT'S UP THE PIKE: Target thwarts Wheaton Plaza fireworks display; Purple Line opponents march on Georgetown Branch; Long Branch community shocked by armed robbery. With Giant's planned move across Old Columbia Pike, the redevelopment of Burtonsville Shopping Center will have an even greater effect on the community's future. After years of rumors about a "high-end" grocery store opening in Burtonsville, news has surfaced that the newest supermarket in the neighborhood will be Giant, which plans to move into the new Burtonsville Town Center from its current location across the street. A friend of Just Up The Pike spoke to Roylene Roberts, chief of Neighborhood Revitalization at the County's Department of Housing and Community Affairs, who has been coordinating the revitalization of Burtonsville's tired village center. Roberts said that Bethesda developer Chris Jones, whose BMC Property Group is redeveloping the forty-year-old Burtonsville Shopping Center at 198 and Old Columbia Pike, lured Giant from the adjacent Burtonsville Crossing after being unable to find another anchor for his project. Giant's move represents a zero-sum deal for Burtonsville, whose merchants have been losing business since the Route 29 bypass was built two years ago and will continue to face competition from newer, upscale shopping centers in Howard County's Maple Lawn and Konterra in Prince George's County, according to a DHCA report published last fall. Not only has the community lost a regional draw in the Dutch Country Farmers' Market, who in March that it had signed a lease for a new location in Laurel, but it's now left with a large vacancy in the twenty-year-old Burtonsville Crossing shopping center, which will be difficult to fill. Why did this happen? so much more AFTER THE JUMP . . . Upscale developments like Maple Lawn, just up Route 29 in Howard County, threaten to erode Burtonsville's consumer base. Jones may have settled for Giant because he had bigger plans for the Town Center that were seemingly thwarted by local opposition. 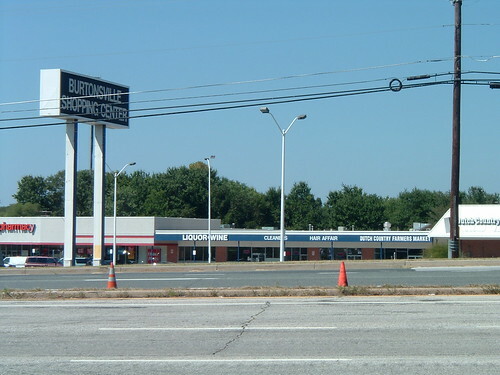 In 2006, local activist Stuart Rochester asked the Planning Board to reconsider the Burtonsville Town Center plan, citing fears that the development could include a "big-box" store such as Wal-Mart or Costco. Such establishments are illegal in Montgomery County, which passed a law four years ago prohibiting stores with over 120,000 square feet. Rochester, chairman of the Fairland Master Plan Advisory Committee, demanded that Jones provide a tenant listing for the Town Center, which did not as of yet exist. A year later, Burtonsville was rocked by news that the Dutch County Farmers Market, a local institution for twenty years, would be forced out as part of the Burtonsville Shopping Center redevelopment. The new Burtonsville Town Center would include a "high-end" grocery store that wasn't interested in the Amish Market's competition, according to Jones, who reportedly had signed a Letter of Intent with Wegmans, an upscale supermarket that now plans to open a new store in Columbia. Throughout the past year, County Executive Ike Leggett had been working with the market's owners to relocate elsewhere in Burtonsville, including one location in the Burtonsville Industrial Park and another behind Route 198 owned by former Israeli basketball player Yoav Katz. Last week, Burtonsville residents began to create their own vision of how the village center could look one day with the help of planning consultants hired by the Department of Housing and Community Affairs. 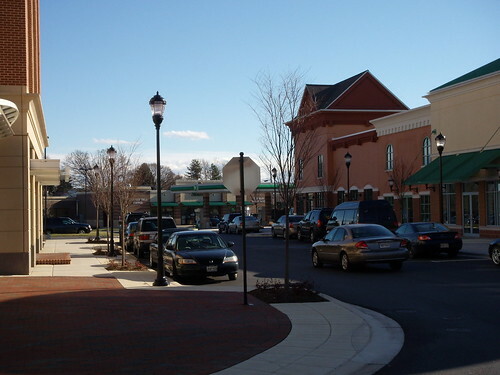 It'll become increasingly harder to plot a course for Burtonsville's future as large projects like the Town Center are finalized, especially if they clash with what the community wants to see happen. This is really sad. The Giant in Burtonsville Crossing is perfectly fine. Why spend money to move it across the street, forcing the Dutch Market out?! I don't see any point to it. Maybe we can get the Dutch Market to set up another market at Giant's current location, but then we might as well leave everything the way it is now. This move kills any dreams of locating Montgomery County's second Walmart or any other big box store in Burtonsville. Burtonsville is perfectly suited for a big-box power center such as Germantown's fantastic Milestone Center, a hub of commerce in that city. Burtonsville could do with the same. I wouldn't be surprised if the grocers union in conjunction with the County lackeys in Rockville had something to do with this fiasco. The former Giant should be converted into an Asian supermarket (H Mart, Grand Mart) similar to South Laurel and Glenmont. That place would clean up and is cheaper than Giant but with much better seafood, meat, fruits and vegetables. Unfortunately, East County is low-budget and always will be. 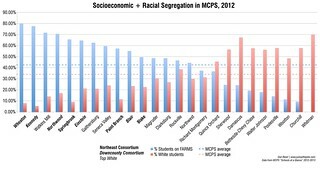 Konterra is in PG County which means that it'll probably end up the same way. What's going to happen to the Big space that Giant is going to leave?